Place 2 1/2 cups flour, 1 tablespoon sugar, and salt in food processor and pulse a few times to mix. Add water to flour 2 tablespoons at a time. Toss with fork. We want to get to the point when you take your hand squeeze a handful of flour, it should stick together. For this one, it ended up taking 1/2 cup + 2 tablespoons. Get to your zen place. Roll out the dough. I suggest looking at the section above where I talk about rolling out the dough. Add whatever filling you need. Seriously the Best Butter Pie Crust. 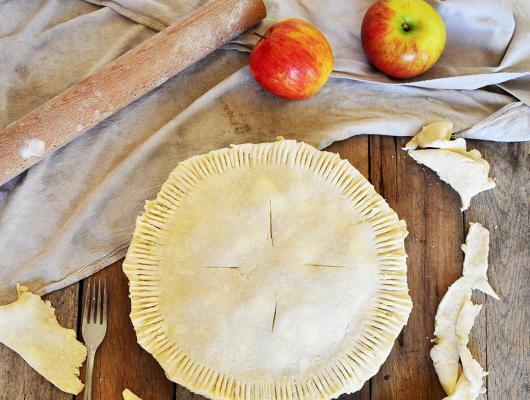 It takes a bit of work, but this pie crust recipe is so delicious and worthy of the extra effort! With just a few ingredients, some care, and a little bit of time, you can make the flakiest and most delicious pie crust around. Yes, there are easier recipes out there, but there are none that taste as good as this. 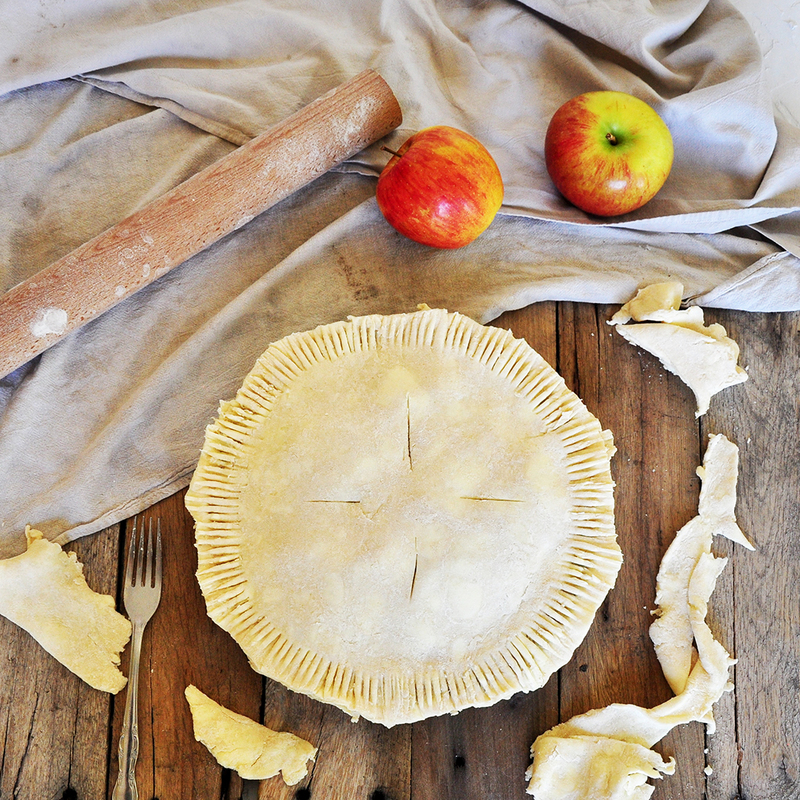 No matter the pie you are making that needs flour crust, this recipe has something for you!